My husband and I recently took a well needed vacation to Mexico. We made an adventure of it and did a lot of activities outside of our comfort zone. As we were preparing for our vacation, I told Kirk that the one thing I really wanted to do MORE THAN ANYTHING was to go to Chichen Itza, one of the New Seven Wonders of the World. After all it’s on my bucket list! 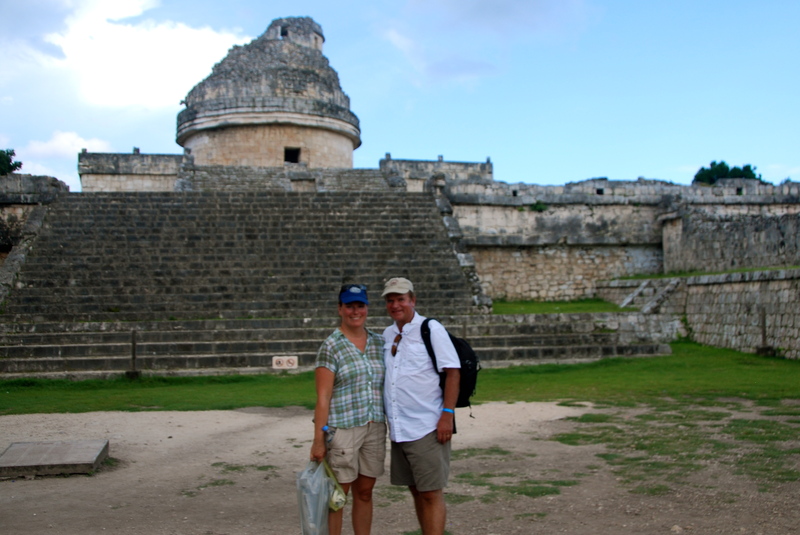 For weeks prior to our travel date I studied out everything I could about this ancient Mayan city. 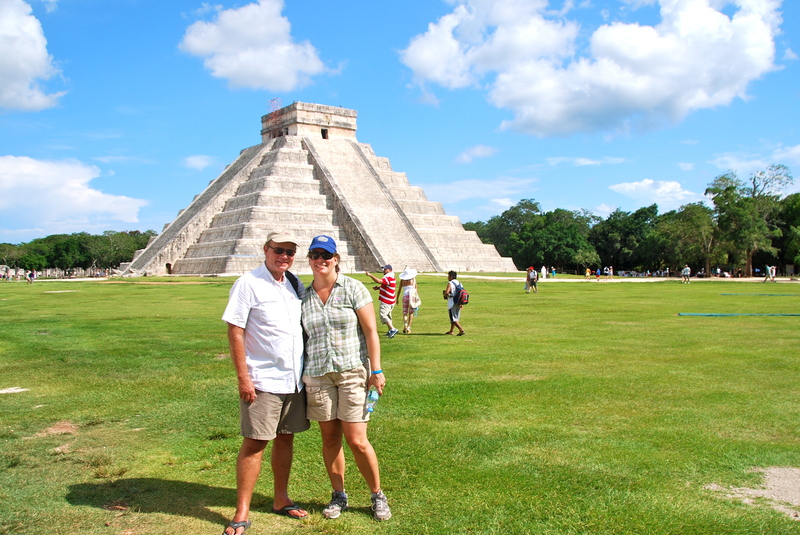 What is the best way for us to get to Chichen Itza from our resort? How much will it cost to get in? How did this great city get here? What happened to all of the people that lived there? I became fascinated with the whole Mayan culture. there is a lot of history that has been recorded about the Mayans but also a lot that has been lost due to the Spanish conquest to Mexico. 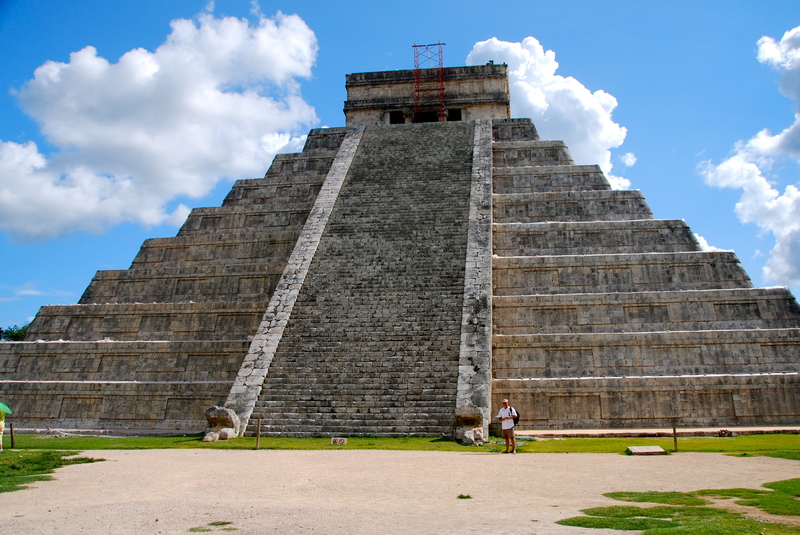 This website http://www.chichenitza.com/ had a lot of valuable information about how to get there, where Chichen Itza is located and some historical information. We ended up taking a tour offered by our resort. That meant no worries about getting a taxi or taking a bus. Whew! I thought I knew what I was going to see when I got to Chichen Itza, but walking through the gates I was awestruck. It was beautiful! I am always fascinated about the history of places and this place had so much ancient history I couldn’t take it all in. El Castillo – the big pyramid in most photographs. At two times during the year during the equinox when the sun shines just right you can witness the snakes highlighted on the pyramid. We were just 15 days early to witness this great event. Dang it! Exactness – Every building was built with a purpose and measurements were such that at certain times of the day or year “miracles” would happen. Or if you stand in the right place you can hear certain sounds. 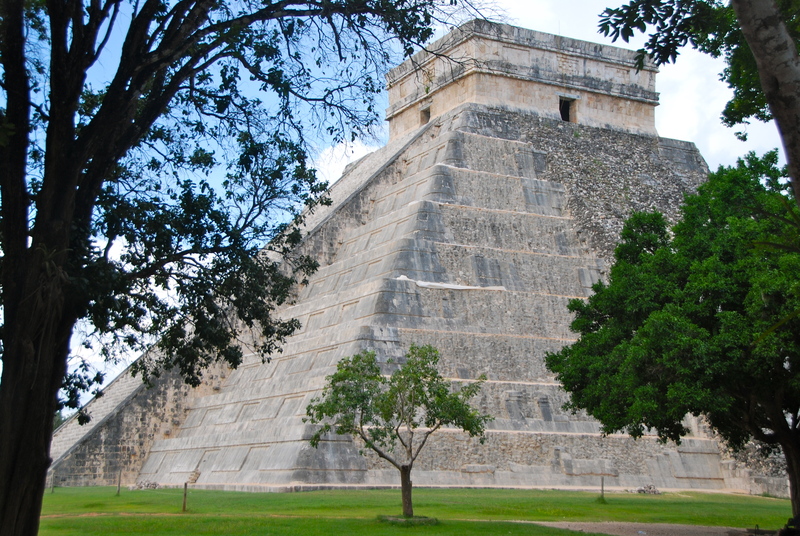 Such as when you clap at the base of El Castillo you can hear a chirping sound come from the top doors of the pyramid. 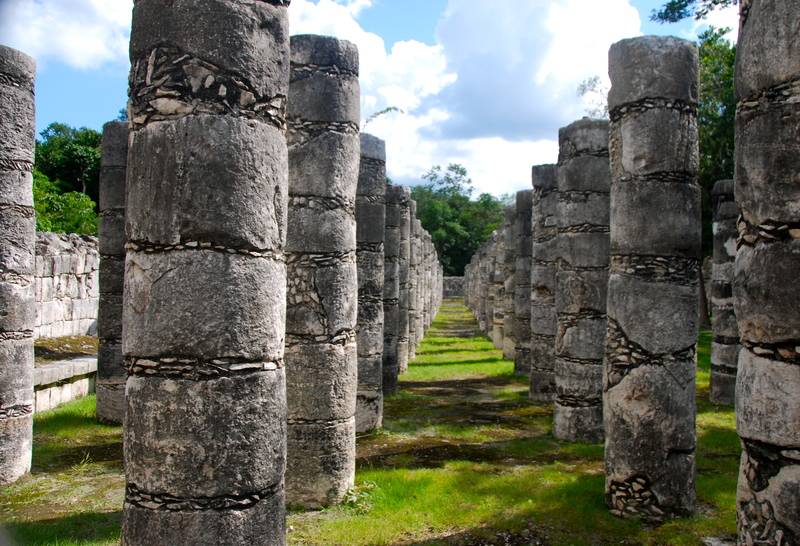 The Thousand Columns – It is believed that these columns once supported a roof and housed several meeting rooms, maybe classrooms. Lots of learning going on then and now. There were so many columns all evenly lined up I just wanted to walk through them. Too bad they were roped off. The Great Ball Court – What? Sports played back in ancient Mexico. I was sure my sons would be so impressed. I don’t know if it was football or basketball or some sort of quidditch game. Apparently though if you lose you die. This was such a fun and educational experience! I am so excited to check it off my bucket list. I learned so much and I value the history from this ancient people. Now I am ready to head off to my next adventure. Where should I go?